Could either of the Britpop giants return? The Verve guitarist Nick McCabe has downplayed the chances of the band reuniting any time soon, while revealing that he has more hope in fellow Britpop legends Oasis returning. McCabe was speaking to NME to celebrate the release of the 20th anniversary edition of their seminal album ‘Urban Hymns‘. However, not all band members are currently on speaking terms. Asked if he’s still in touch with frontman Richard Ashcroft, McCabe replied: “No, not at all. I tried to call him last year about whether we should do anything to celebrate the 20th anniversary [of ‘Urban Hymns’] and at that point Jazz Summers was still with us so there was talk about it all. However, when asked if former collaborators Oasis might reform, McCabe responded: “I think it’s a matter of time. They’d be stupid not to. I get the feeling sometimes that they’re just playing. It’s like mischief. 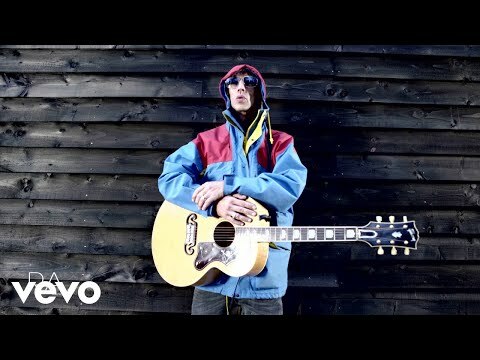 Meanwhile, Richard Ashcroft recently spoke out about Liam Gallagher‘s ‘secret cameo’ on The Verve‘s ‘Urban Hymns’. “I mean there’s lots of jokes within the album,” said Ashcroft. “Liam Gallagher is on the last track ‘Come On’. I don’t think anyone knows this, but if you concentrate you can hear some demented guy screaming ‘come on’. I imagine everyone thinks that’s me, but I remember him doing it.